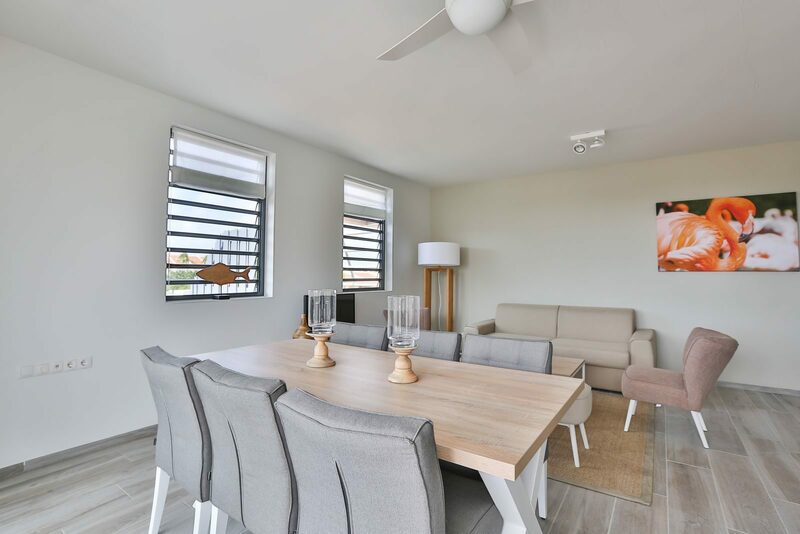 Are you looking for an apartment on Bonaire that you can rent long term? Maybe because want to stay away for a longer period of time, because you are coming to work on this beautiful island, or because you are looking for a home? Of course you will want to stay in an accommodation where you feel at home, and have all the comforts that you are used to. 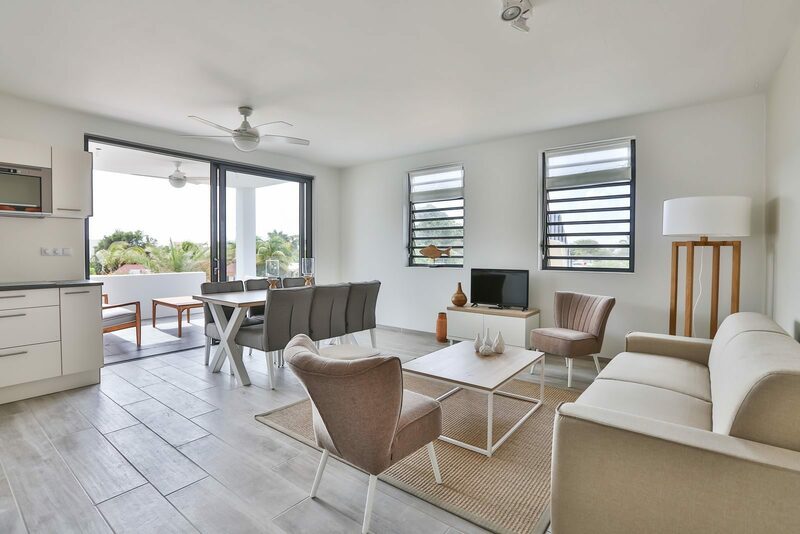 You will definitely like the luxury rental apartments at Resort Bonaire. 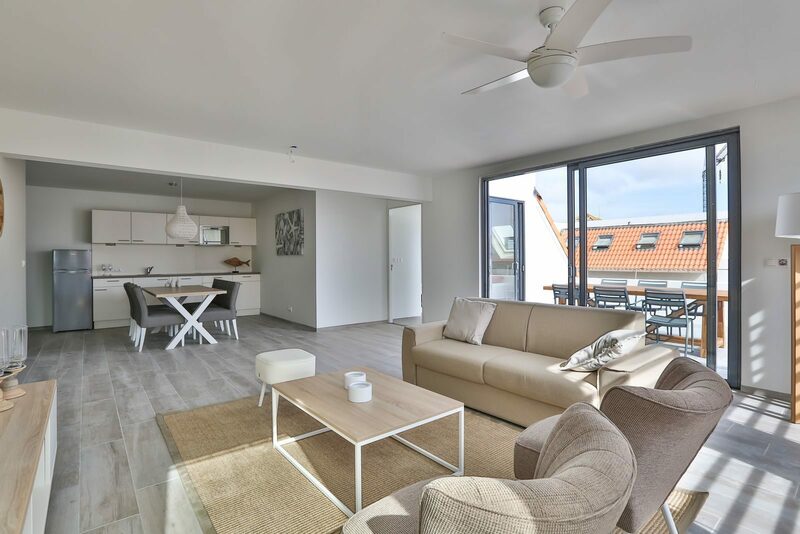 At our new resort, near the capital city of Kralendijk (5 km), you can rent various modern Bonaire apartments long term. 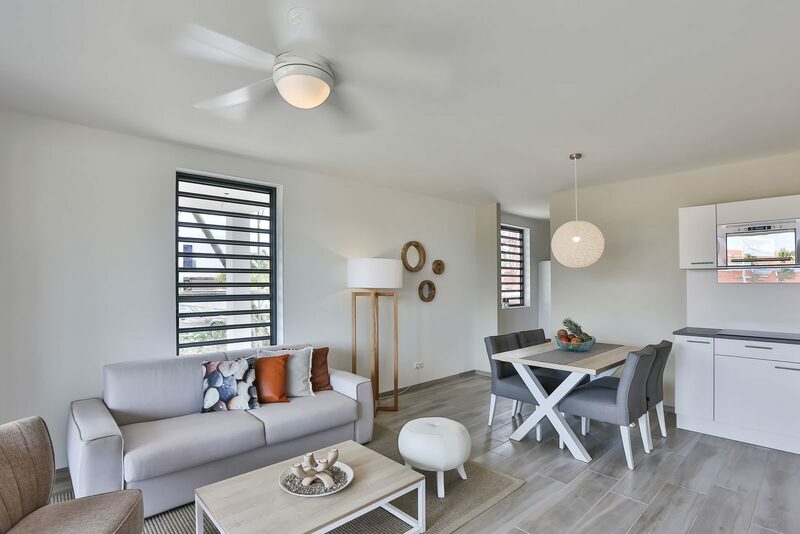 These beautiful homes are tastefully decorated, and fully equipped, including a complete kitchen, a luxurious bathroom, and of course, free WiFi. 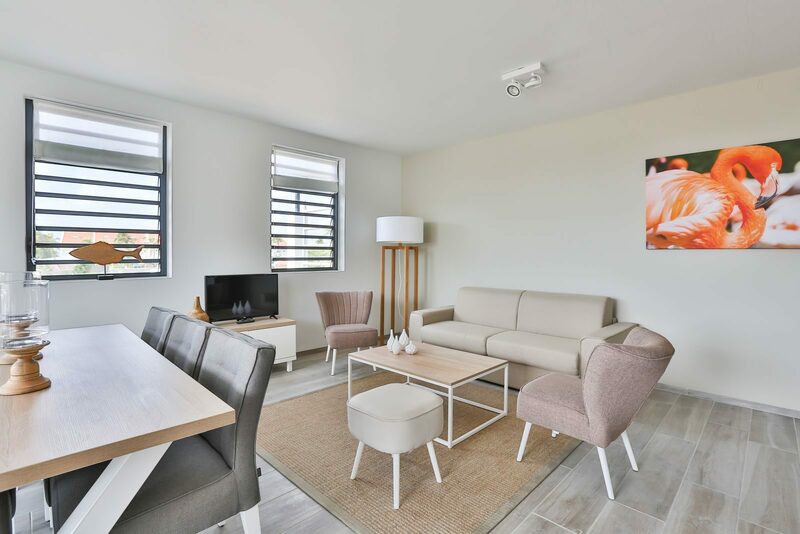 Do you want to spend the winter at a tropical destination, or are you looking for an accommodation during a stay for work on Bonaire, then long-term rental at Resort Bonaire is the solution. 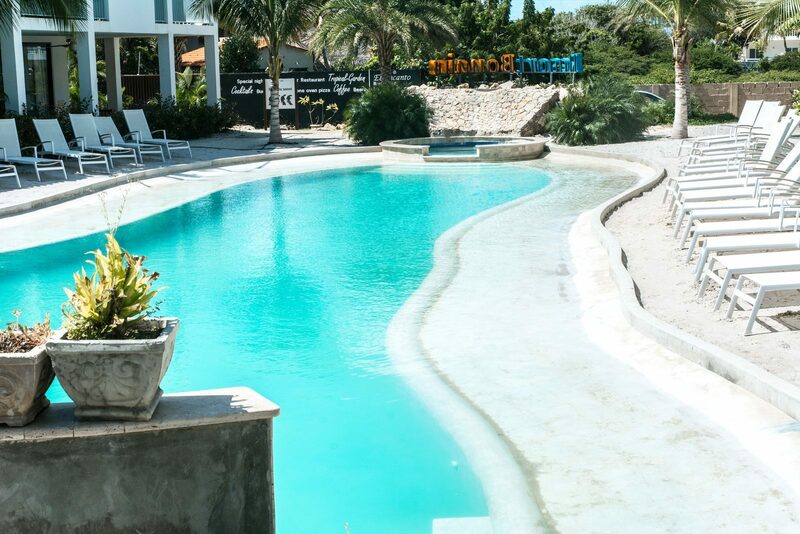 The resort offers you a luxurious stay in modern apartments for 2, 4, or even 6 people. 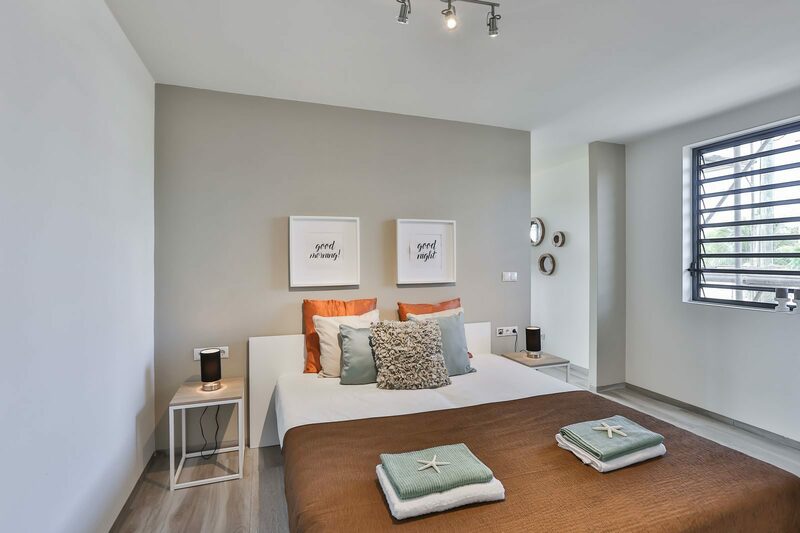 Each apartment's interior is characterized by the use of soft colors and natural materials, providing a relaxed living atmosphere. The floor-to-ceiling windows offer stunning views of the park and the surrounding area. All Hardin apartments have one separate bedroom with air conditioning. The bathroom has a sink, shower, and toilet. 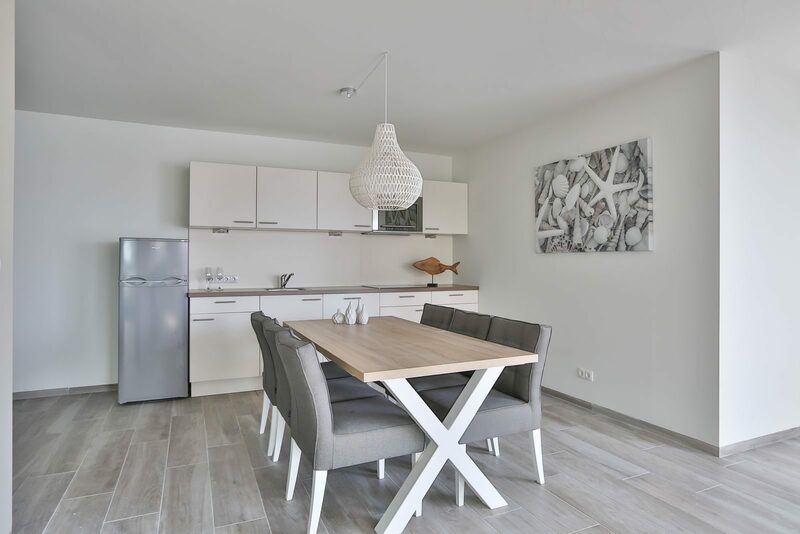 The apartments are delivered fully furnished, and the kitchen is equipped with a 4-burner induction hob, microwave, dishwasher, and fridge with freezer. The middle houses have one bedroom at the rear of the house, separated by a wall with a sliding door. There is no window in the bedroom. These homes are slightly smaller compared to the corner houses. 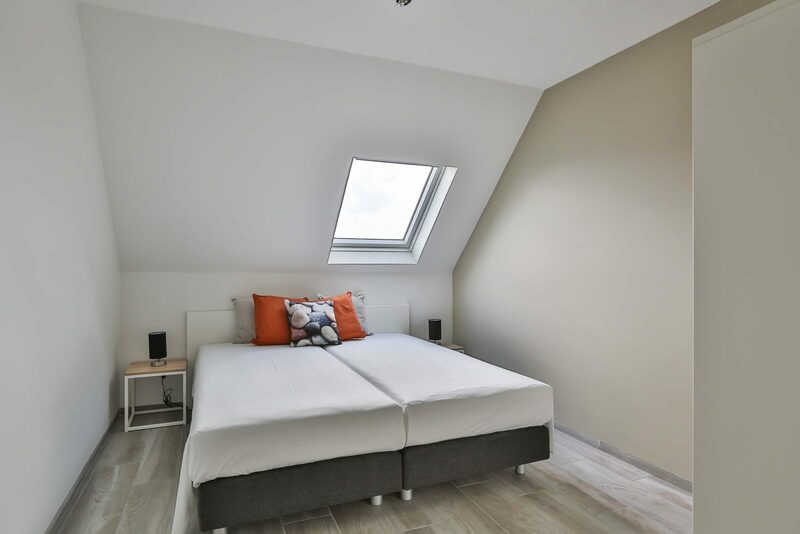 The corner houses have a window in the bedroom and an extra window in the living room. They also have an extra dining table with chairs and lounge set on the outdoor terrace. 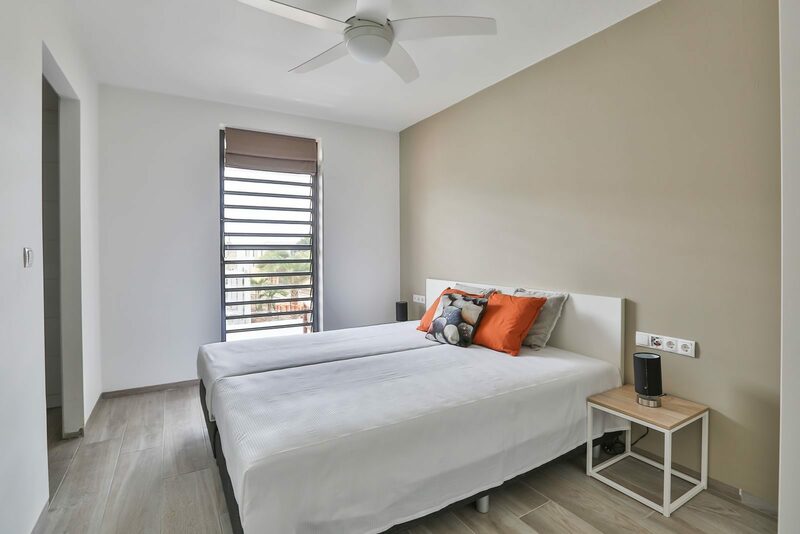 All Bunita apartments have two separate bedrooms with air conditioning. The first bathroom has a sink, shower, and toilet. The second bathroom has a sink and shower. The other toilet is separate. 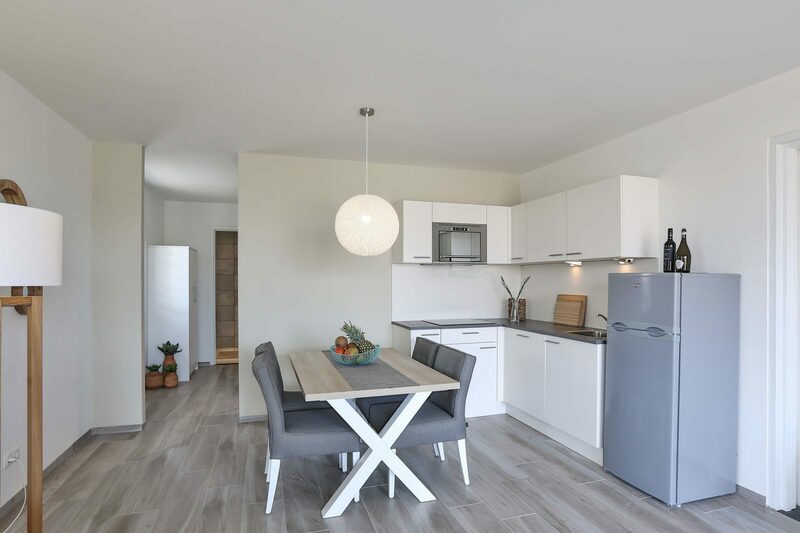 The apartments are delivered fully furnished and the kitchen is equipped with a 4-burner induction hob, microwave, dishwasher, and fridge with freezer. The middle houses have a bedroom at the rear of the house, separated by a wall with an inner window with a shutter. The second bedroom is smaller. The corner houses are slightly larger and have two equilly larg bedrooms. They also have a larger terrace. 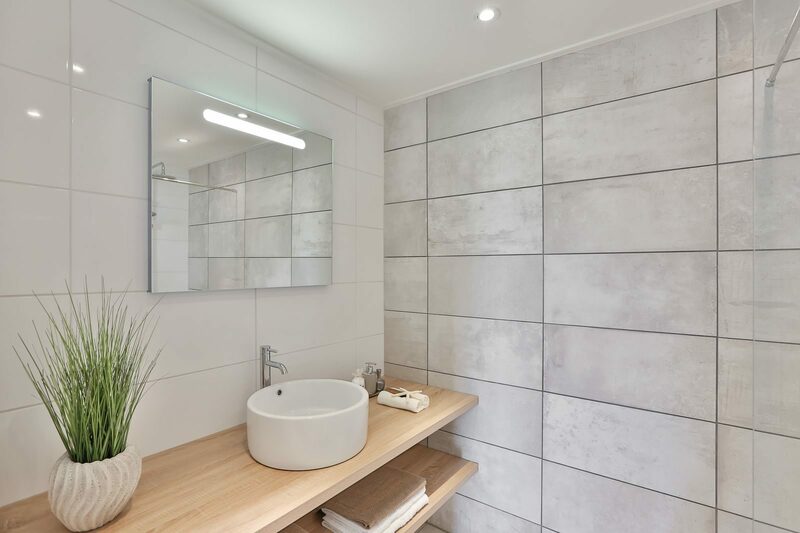 The penthouses have a master bedroom with an ensuite with a sink, shower, toilet, and bath. The second bedroom also has an adjoining bathroom with a sink and shower. The second toilet is separate. There is also a walk-in closet with the possibility to place a washing machine. 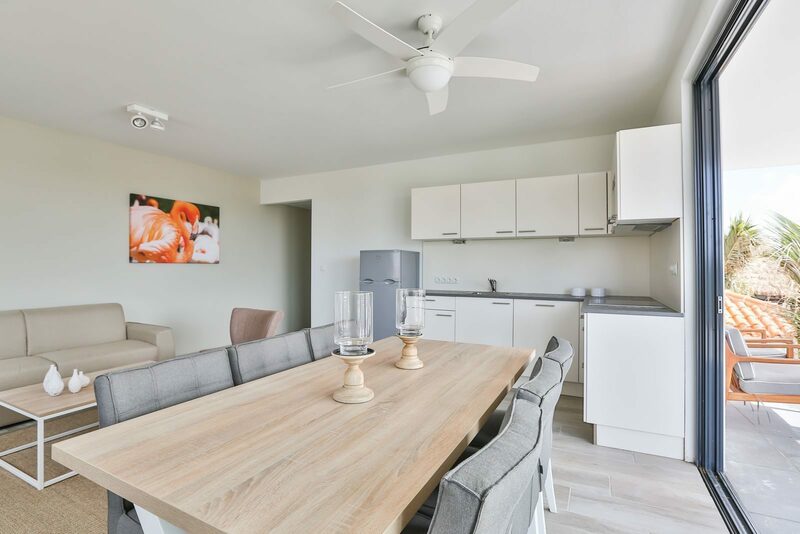 The living rooms are spacious and fully furnished and the kitchen is equipped with a microwave, 4-burner induction hob, dishwasher, and fridge-freezer. 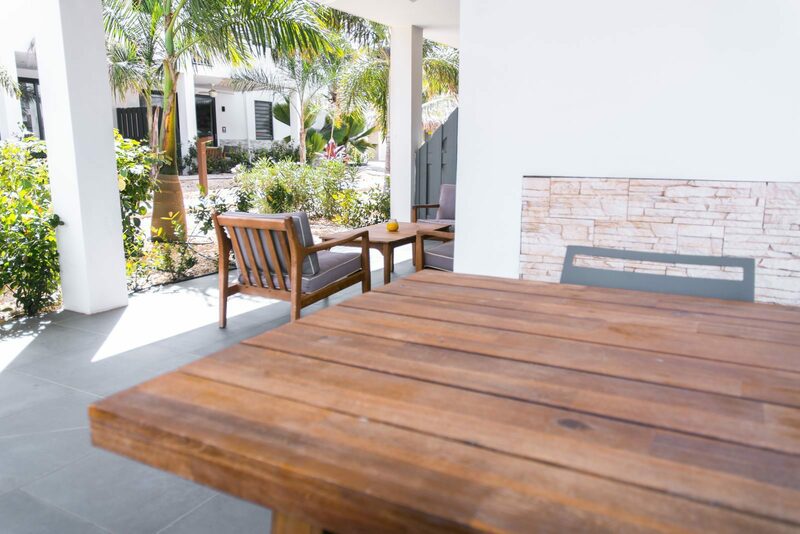 The terraces are spacious, equipped with a lounge set and a dining table with chairs. 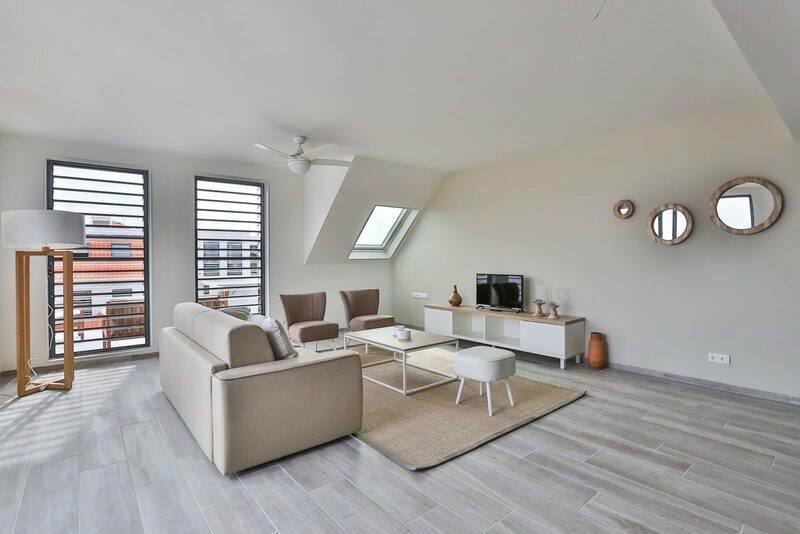 Moreover, every penthouse has a beautiful view of the neighborhood and the sea. 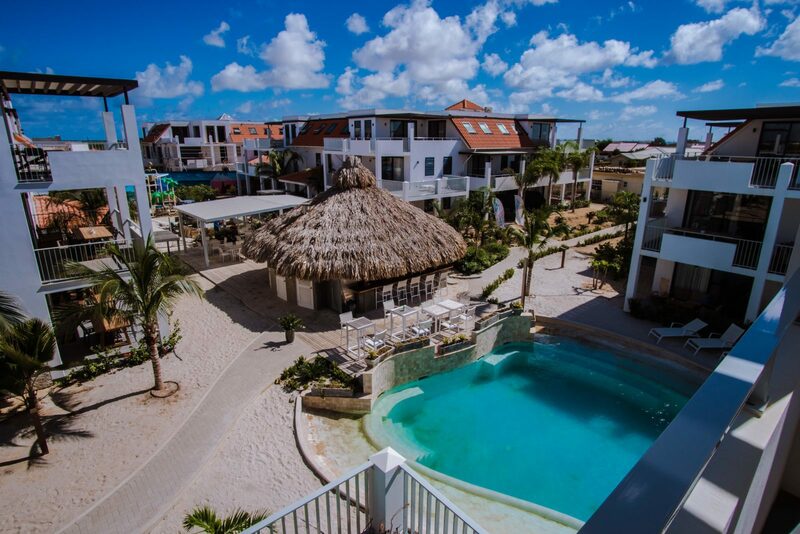 Resort Bonaire is the perfect place to stay if you are looking for a long-term rental apartment on Bonaire. 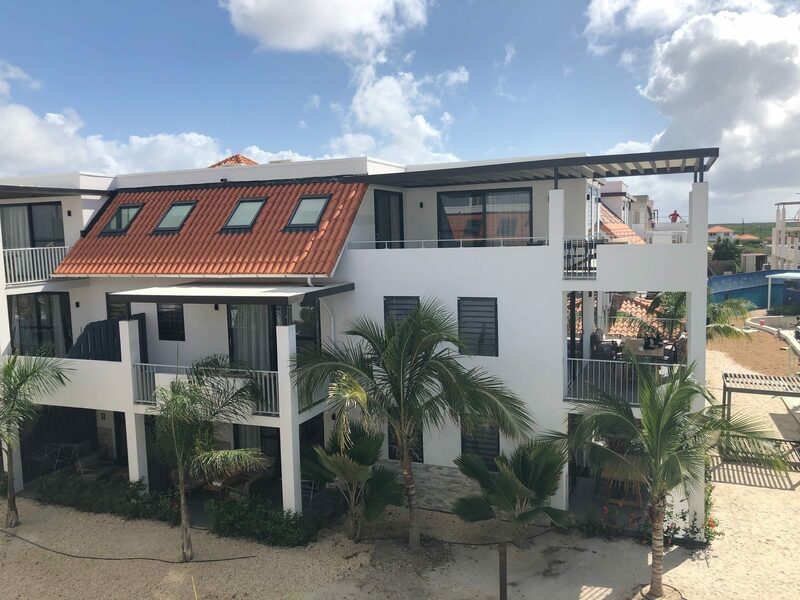 Resort Bonaire, known for our luxurious rental apartments, is a wonderful holiday paradise due to our location on the west coast of Bonaire, only 700 meters from the beach and close to the capital, Kralendijk. 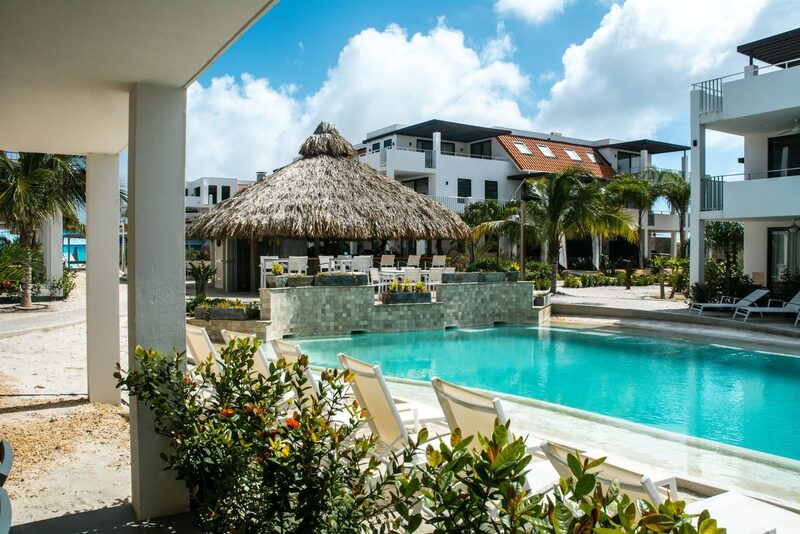 Whether you come here to survive the cold winters at home, for work, or to explore the area because you want to buy a house or apartment on Bonaire – you are most welcome at Resort Bonaire. You can also use the resort facilities when you stay at the park. 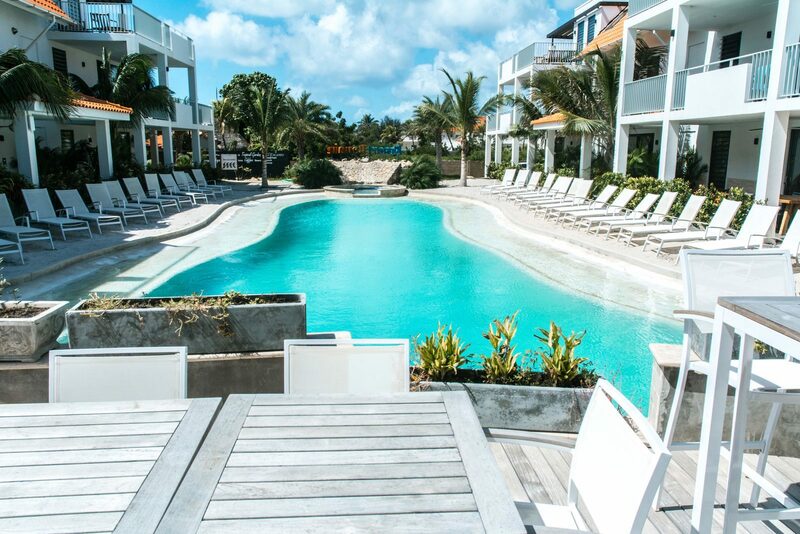 Take a refreshing dip in the swimming pool with a real sandy beach, enjoy a cocktail in the pool bar, and let the children play in the playground. Unlimited Wi-Fi means you can work anywhere, anytime. 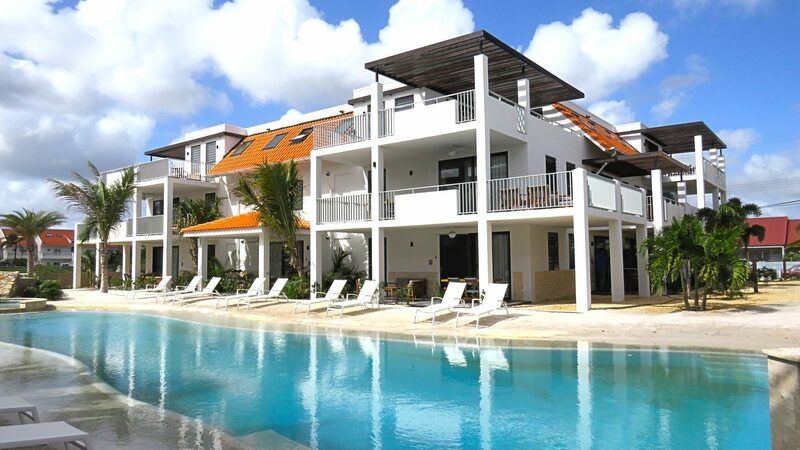 Do you want to rent a house on Bonaire for the long term? 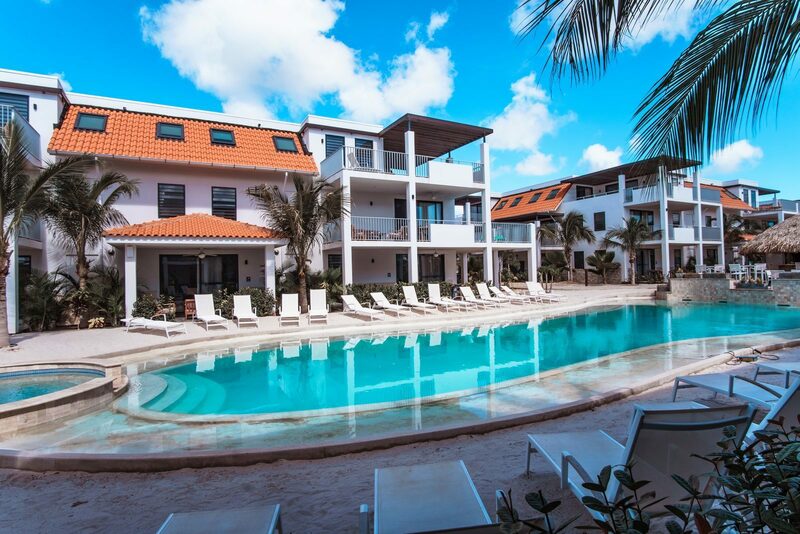 You could not hope for a nicer and more complete place to stay at than Resort Bonaire. 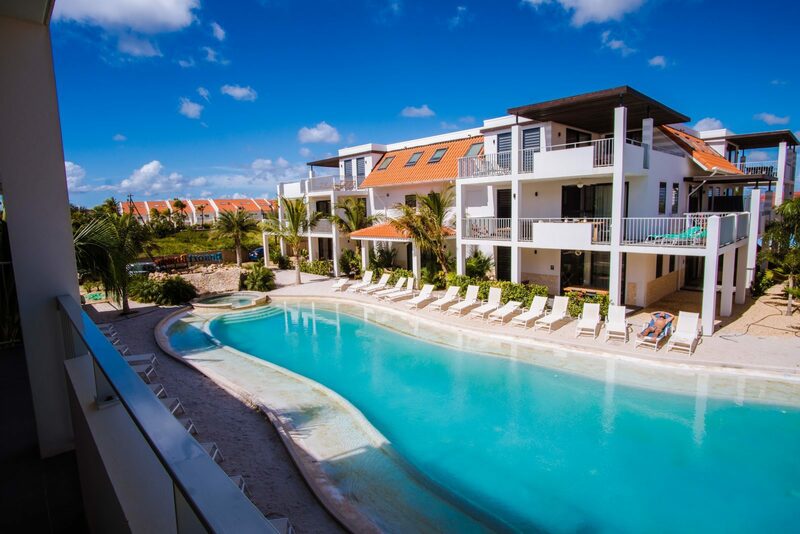 Feel free to contact us via the contact form to discuss the possibilities for long-term rental on Bonaire.